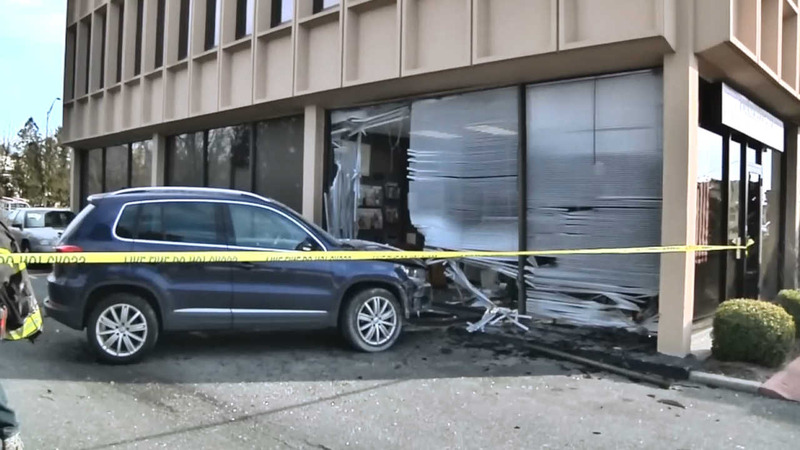 MELVILLE, Long Island (WABC) -- A driver lost control, and slammed his SUV into a building on Long Island on Saturday. Police say the driver was teaching his wife how to drive in a parking lot in Melville, when he lost control, drove through a fence and then into a chiropractor's office. Officials say there was no major structural damage to the building. The chiropractor's office wasn't open on Saturday, so there was no one inside the building at the time. Neither the driver nor his wife were injured.